Since 1948, Cropwell Bishop Creamery has been making award-winning Stilton and we've chosen their generously sized 'quarter wheel' for this timeless combination. 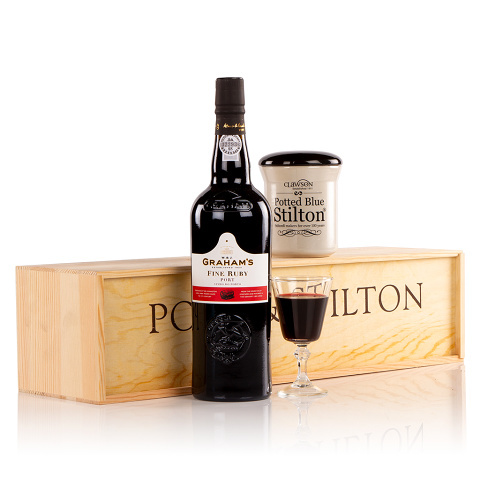 Paired with delicious Graham's Fine Ruby Port, this is a truly iconic cheese gift. Long Clawson Potted Stilton 225g ?